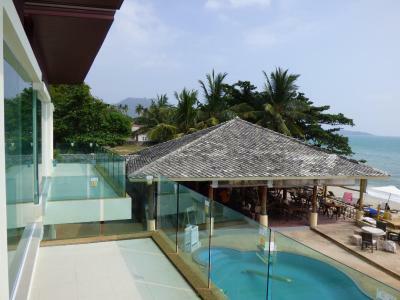 Lock in a great price for Samui Beach Resort – rated 8.2 by recent guests! 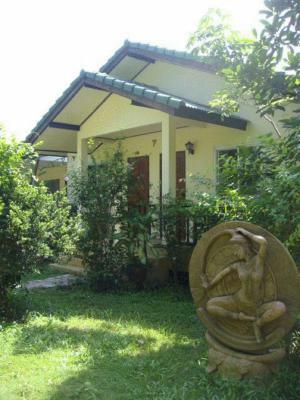 Beautiful setting with sculptures and tropical greenery throughout meandering pathways. Breakfast was very good and healthy. Cooperative staff and excellent entertainment on Saturdays. When our room of choice was not available we were given a very nice upgrade. Very friendly and welcoming staff. We stayed there during tropical storm Pabuk, saw the staff cleaning the premises before the wind arrived to make it safer, and they did their best to make us feel allright in the rain and wind. Right now they are clearing the aftermath. Room cleaning has not been neglected during this event, we got dry towels every day. Special thanks to the very caring manager. 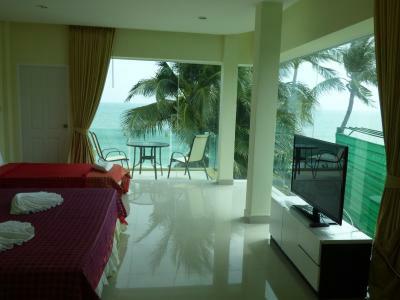 Very nice bungalow rooms next to the beach.. the bed was perfect. Really friendly and helpful staff. 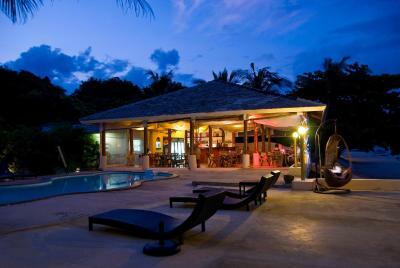 Nice beach bar and restaurant. 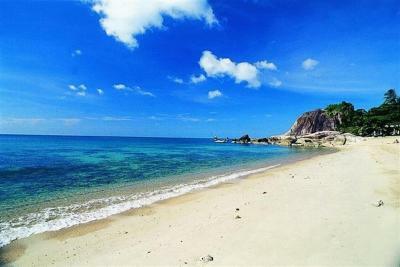 It is located on a part of Lamai beach which is very relaxing with nice water great for swimming. Superb food in the resort’s restaurant, would highly recommend eating here if you are staying. Pad Thai especially!! 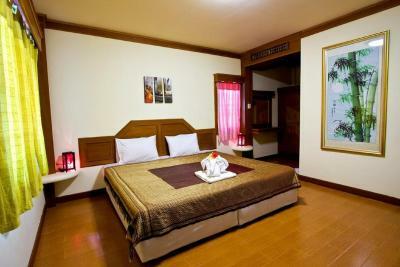 Rooms were really large and comfortable, the rooms I really liked. 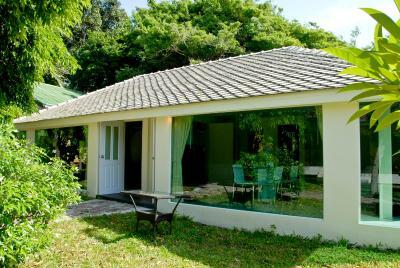 I think if ceiling fans were put in it would be perfect, especially to keep mozzies away! 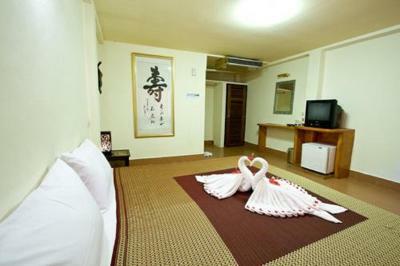 If you are a family on a budget this is a great hotel. We were given a rollaway bed at no extra charge which is a rarity!!!! 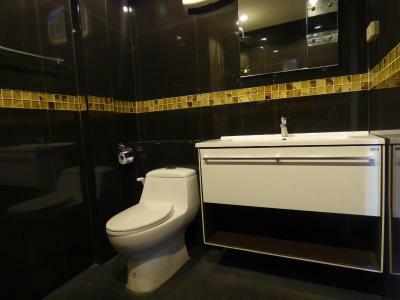 Given a better room than expected. 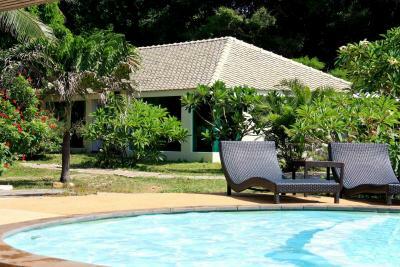 Very close to pool & beach. Pool is open nonstop. Unbelievably clean sea. Great affordable restaurant all day. 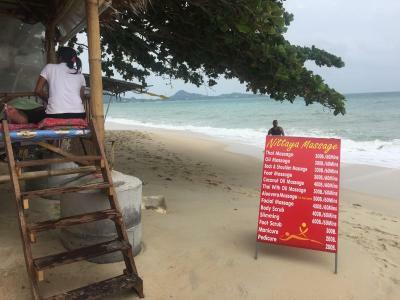 Beach facilities (incl massage) free of charge. Close to the main road to get tuk-tuks. It was a great location for our family very relaxed we loved it . 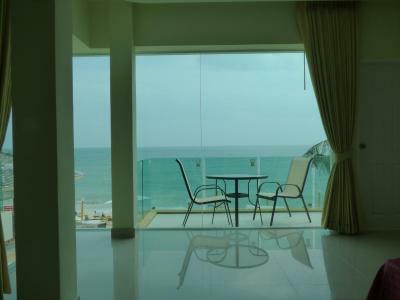 We had a premium room with a balcony overlooking the pool and with a beach view, which was fantastic! The beach is excellent for swimming! The hotel is at the far end of Lamai beach, which was the location we wanted. 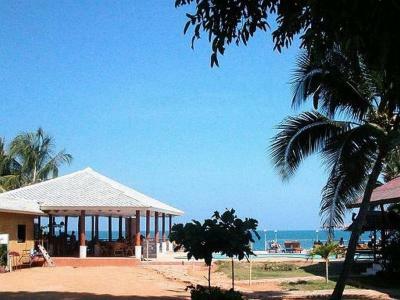 It is about a mile along the beach to access the main town with restaurants, bars, and shops. 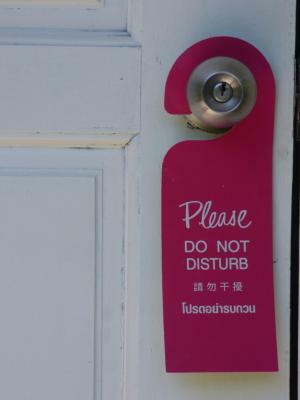 My husband loved the hotel's massage services. This hotel is a good value. 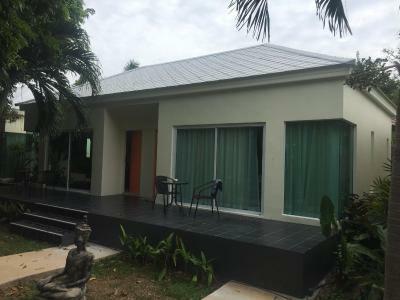 Samui Beach Resort This rating is a reflection of how the property compares to the industry standard when it comes to price, facilities and services available. It's based on a self-evaluation by the property. Use this rating to help choose your stay! 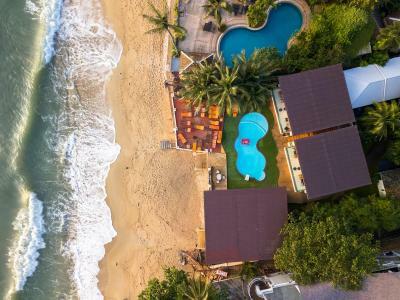 One of our top picks in Lamai.Located next to Grandfather and Grandmother Rocks and a 20-minute drive from Samui Airport, Samui Beach Resort has a private swimming pool and a beachside restaurant. The resort offers free Wifi . 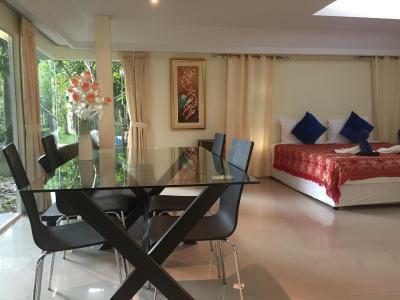 Lamai town is 0.6 mi away. 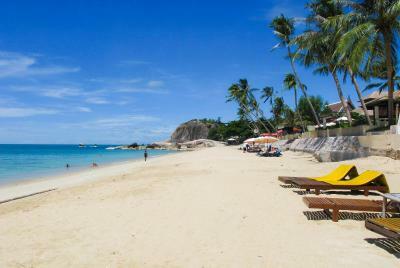 Samui Beach Resort is less than 10 minutes by car to the popular Chaweng Beach on Koh Samui. 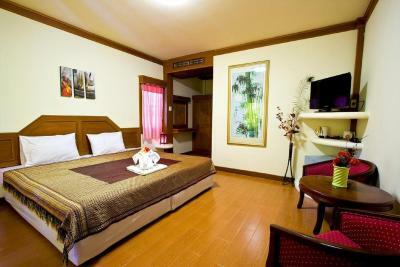 Guest rooms are equipped with a TV and have a patio and balcony. 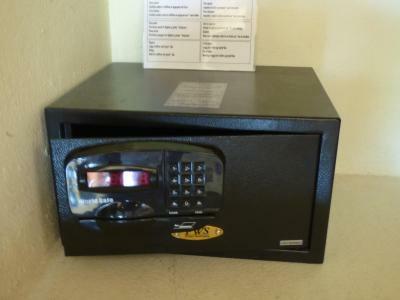 The hotel reception has a safety deposit box for guests to store valuable items. 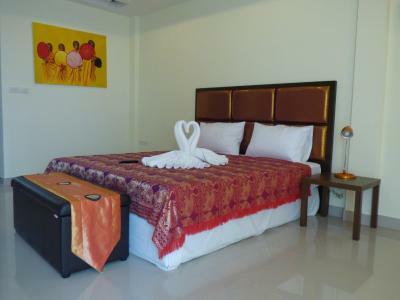 The hotel plans trips to attractions nearby and provides equipment for sports activities. 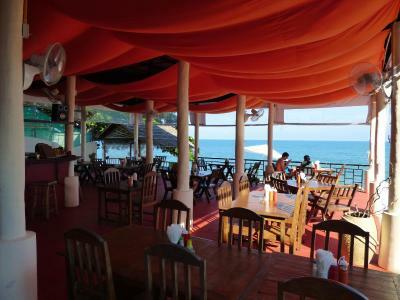 The restaurant serves both traditional Thai and European cuisine. There is a classic pizza oven at the resort bar, which also serves cocktails and beer. 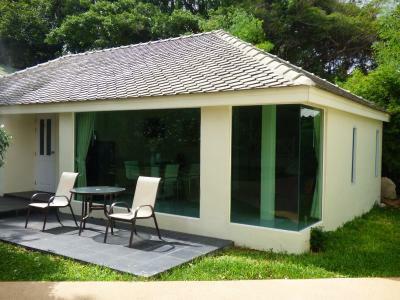 뀐 Located in the top-rated area in Lamai, this property has an excellent location score of 8.5! 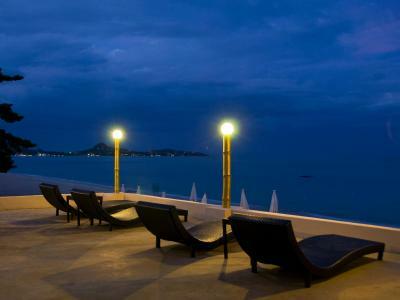 When would you like to stay at Samui Beach Resort? 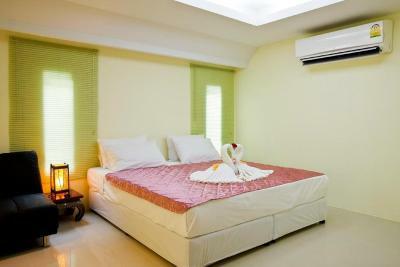 This air-conditioned room features cable TV, a refrigerator with minibar, and a private bathroom. 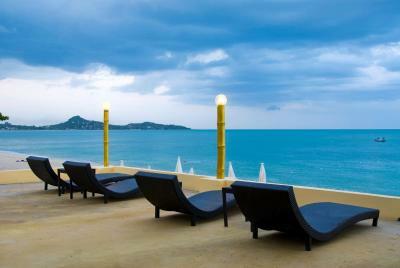 House Rules Samui Beach Resort takes special requests – add in the next step! 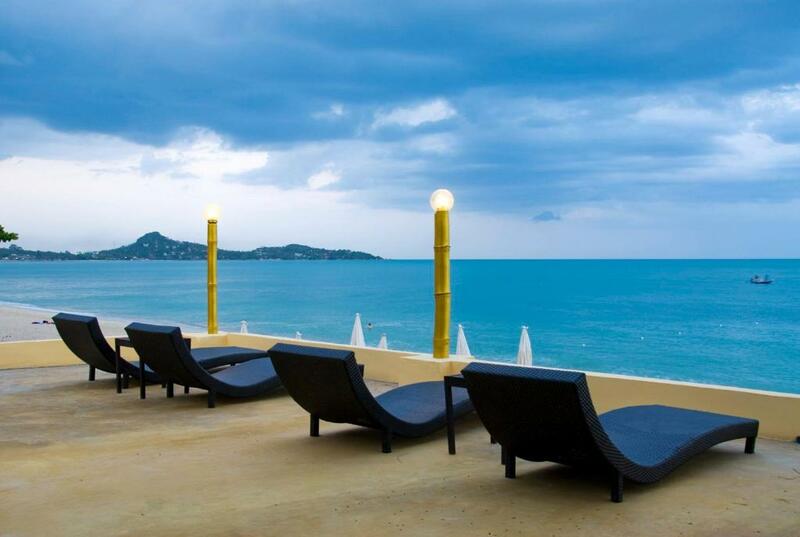 Samui Beach Resort accepts these cards and reserves the right to temporarily hold an amount prior to arrival. We loved the location being just a few steps away. Restaurant is a bit pricey. 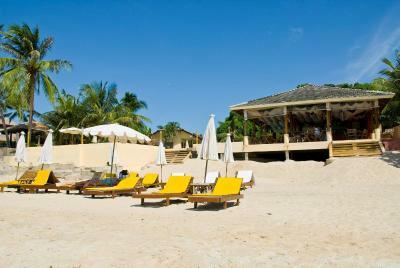 Great hotel Complex, on the beach and either a 5 Mon taxi or 15 min walk along the beach into town. Food is fantastic 👍 Vincent the Resort Manager is great and will help or give advice if needed. Flexible breakfast times. 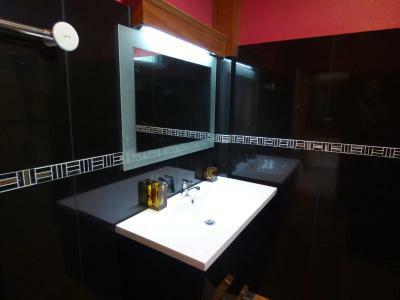 Very clean.Reception staff very friendly. Very informative and happy to book excursions. Restaurant food delicious and reasonable prices. Fantastic mini supermarket within a 2 min walk. Open all hours. Excellent and cheap laundry service nearby too. Town centre only a 15 min walk along the beach. Warm welcome from Vincent, the resort manager, who gave great information and was enthusiastic. Location is right on the beach. Great evening BBQ with live music at the resort. The resort is dated. 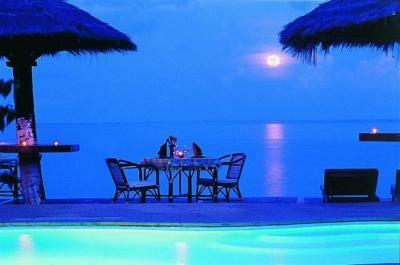 The staff had a bad attitude towards the guests. 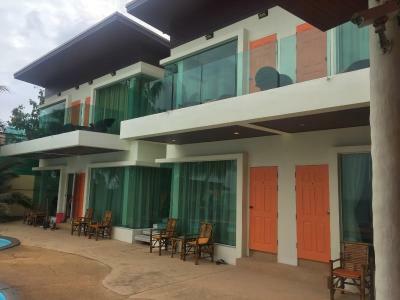 The resort was not what was shown on the internet, totally different pictures to what we saw. 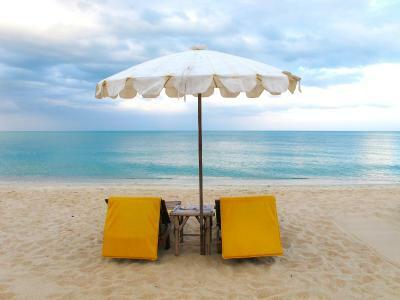 Certain guests all put their beach towels on the beach chairs and none left for other guests. 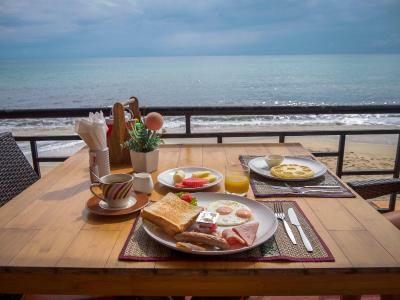 The breakfast advertised on the internet, Booking.com was advertised as BHT 150 person, however, on the actual menu at the resort we were charged BHT 180. The Saturday night barbecue never had any seafood, only meat and was expensive. 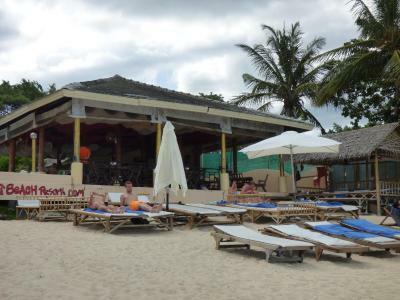 Beers, beaches and the friendly guests who felt the same as us. I forget my key in room by mistake. And there were no staff to help me open my door as it was 10pm and theres no one after 9pm in emergency if u need help at any cost. I called manager and hotel phone to help me but no response.after 3 hours i found a worker who was drunk and off duty, but he knew the spare keys are hidden at bar counter. He helped me open door by saying that he already off duty, just helping me in need. 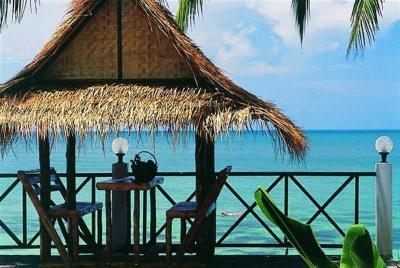 Location and beach view, the staff was not professional at all, they did asked me some irrelevant funny personal questions...if i am muslim? Am i married to my chinese girlfriend? So irritating! There were not enough bedside tables near the bed and shelves for storing clothes. Standard American breakfast. 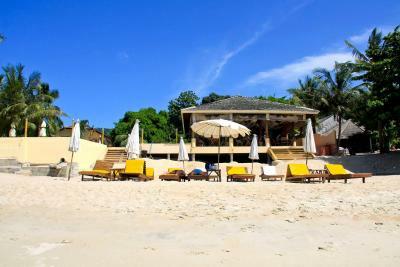 The very convenient location of the hotel, restaurant and swimming pool overlooking the beach. The street with other restaurants is at a distance of 100 meters. 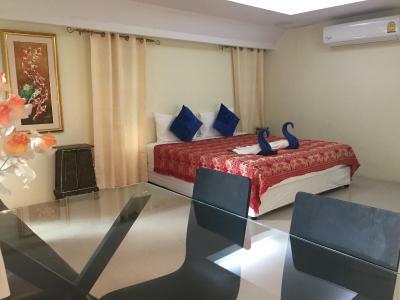 The hotel is very suitable for adults and elderly couples who do not attach excessive importance to luxury but appreciate peace, clean sea, the opportunity walks along the beach, and the friendliness of the hotel’s staff. 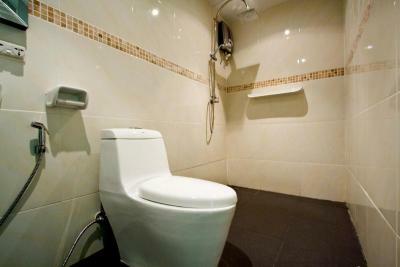 The accommodation was very clean and was cleaned every day. But does need up dating tbh we stayed in room 218 and got Locked out on the balcony as door was broken. Restuarant staff was more intrested in their phones or standing behind the bar than serving customers you either had to go and ask for food or drinks or wait ages. I know we are in Thailand but they wasnt busy service is important once you can except but every time is not good. 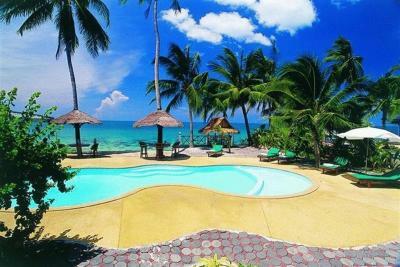 The beach was really nice and water was crystal clear and the resort was lovely a quite. 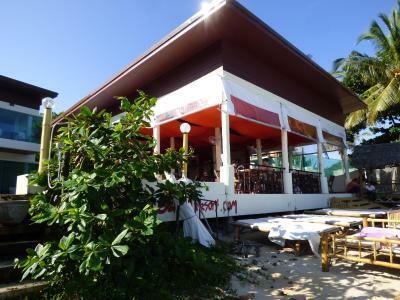 Not the fault of Samui Beach but tide brings debris on to beach. Manager Vin was very good and welcoming. Staff were attentive and good always smiling. Massage were good. 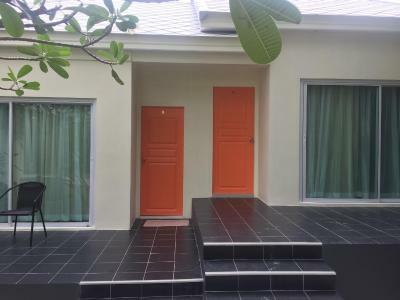 Great location in South Lamai, direct access to the beach, and at 15mn (by walk) from Lamai Center. 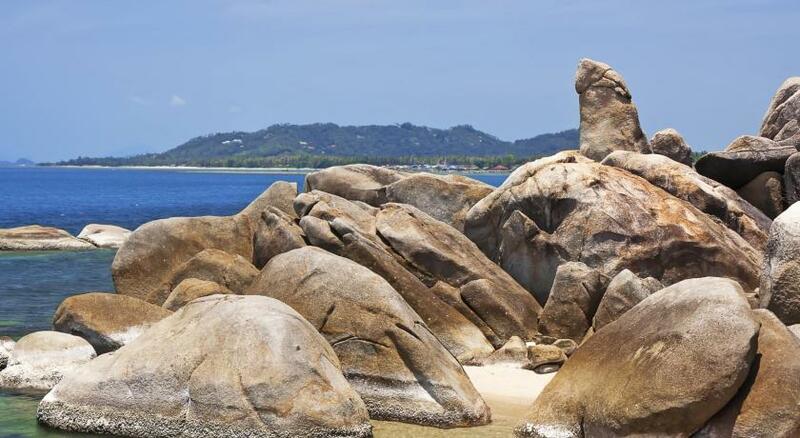 You can rent bikes to visit the Big Buddha and other beautiful sites of Koh Samui. Big Compliment to Vincent, French Manager of the Resort (fluent english) and Yves, Director of the Resort, they're both really welcoming! 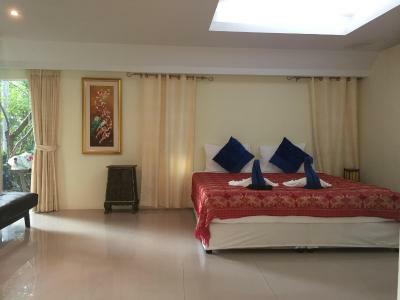 Rooms are beautiful and well equiped, and scattered in a beautiful garden. A really great experience, I will come back!